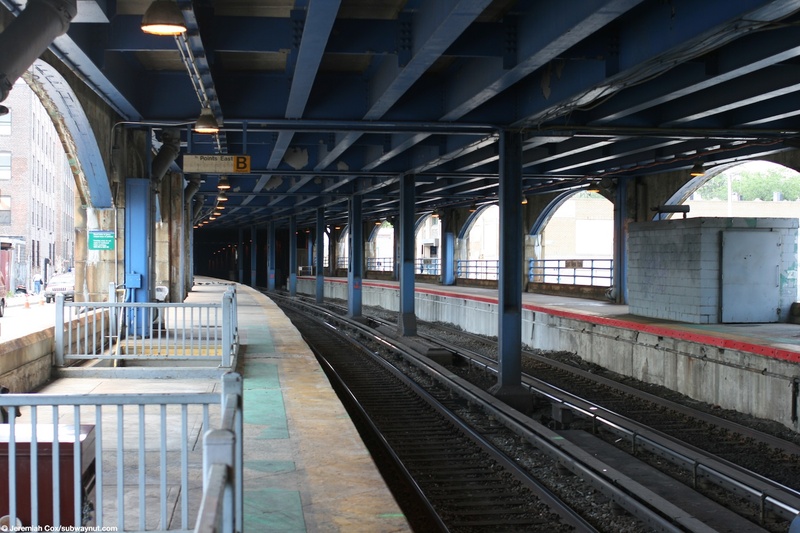 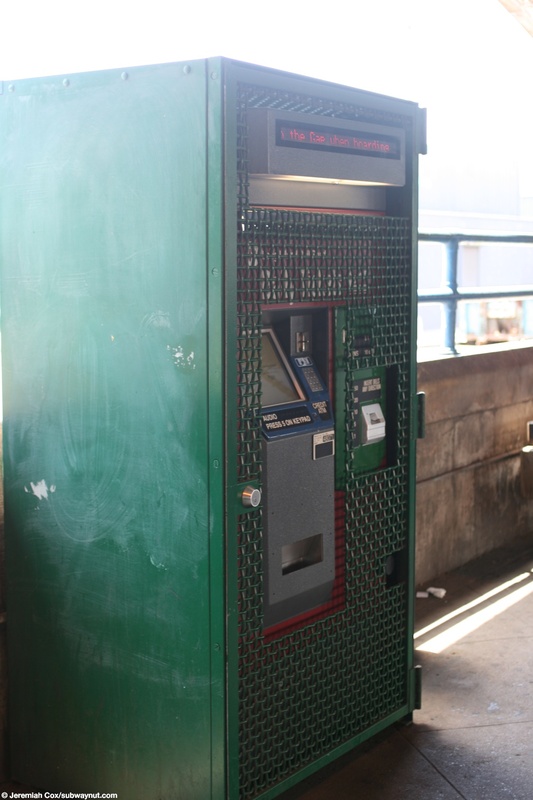 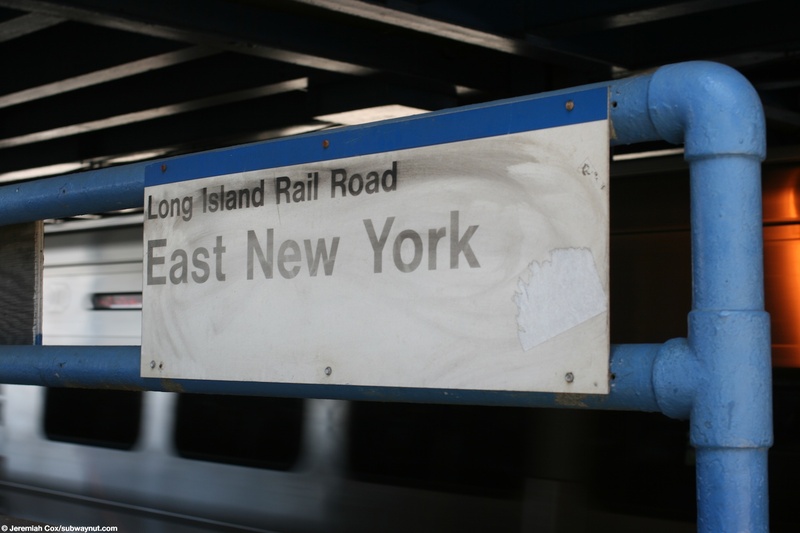 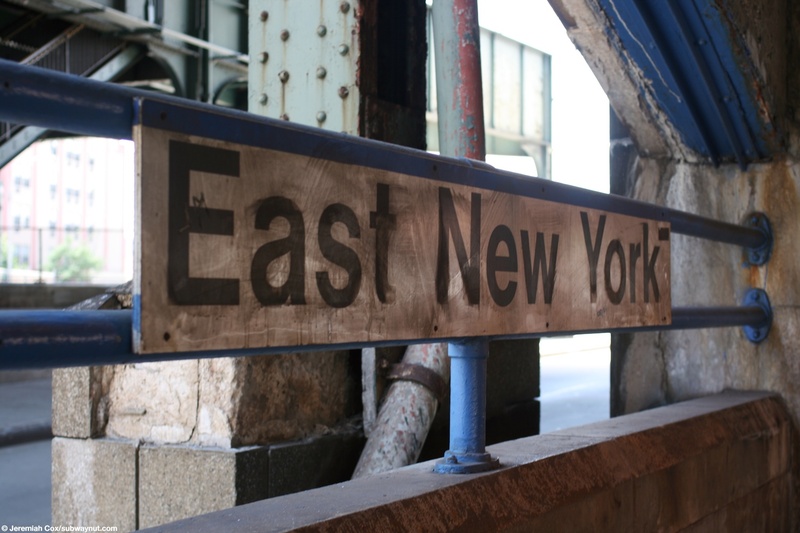 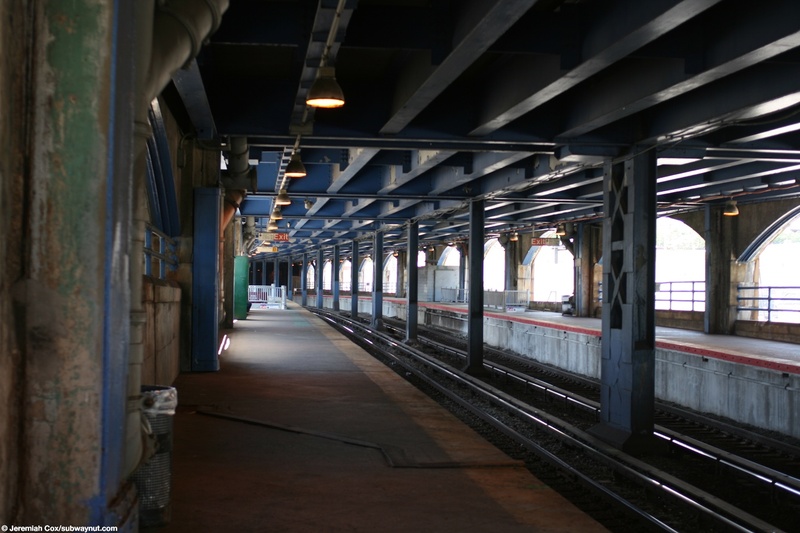 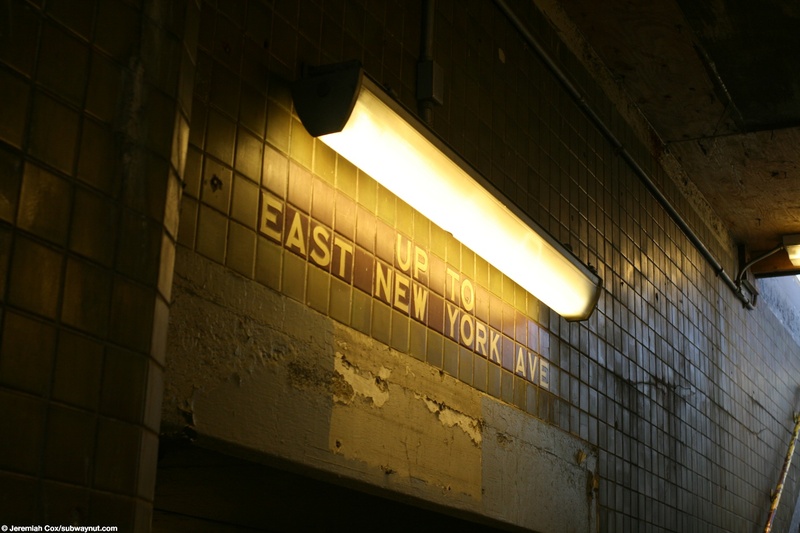 East New York is a station on the LIRR Atlantic Branch and is located at street level with the main lanes of Atlantic Avenue located on an elevated structure above the two tracks both tracks dip down and reenter tunnels at either end of the station. 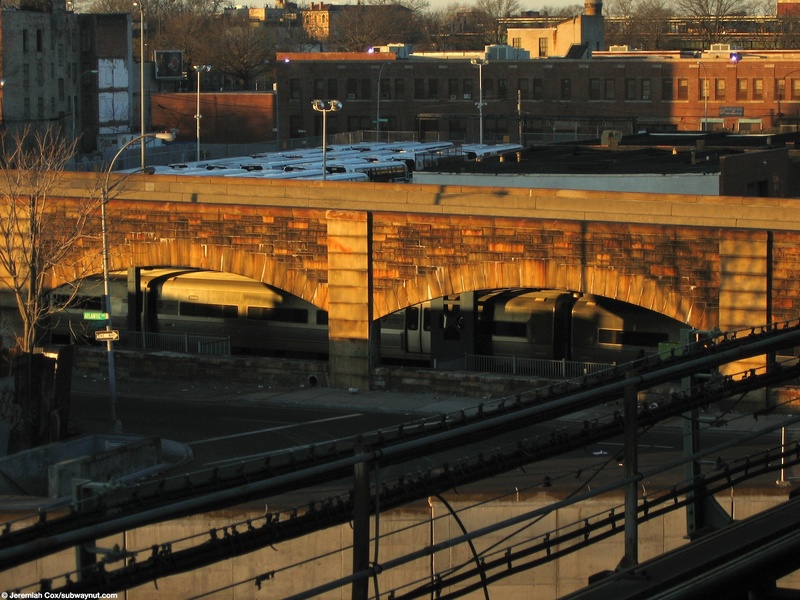 The elevated structure of the L Canarsie Line and the remains of the Fulton St-Pitkin Avenue elevated that was replaced by the IND A,C subway lines crosses above the station, with the Atlantic Avenue (L) subway station just south of the LIRR station across the southern and eastbound service lanes of Atlantic Avenue. 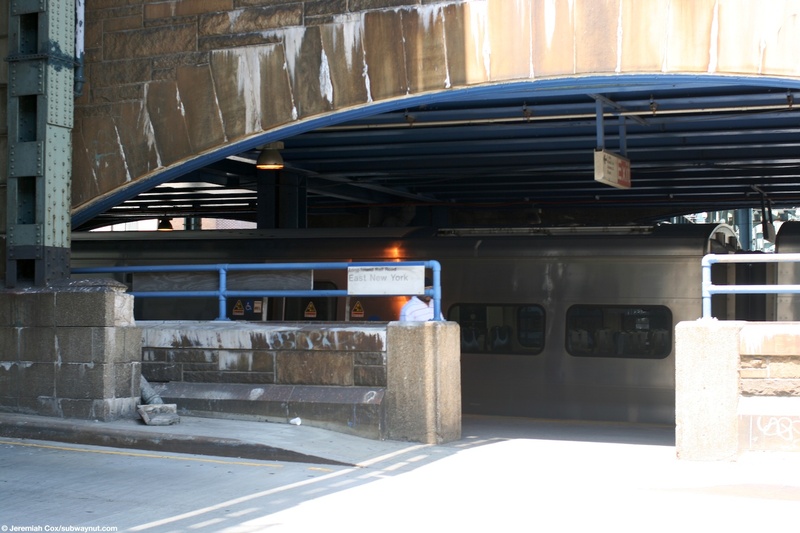 The A,C subway goes beneath (I assume) the LIRR tracks at some point in this vicinity as well. 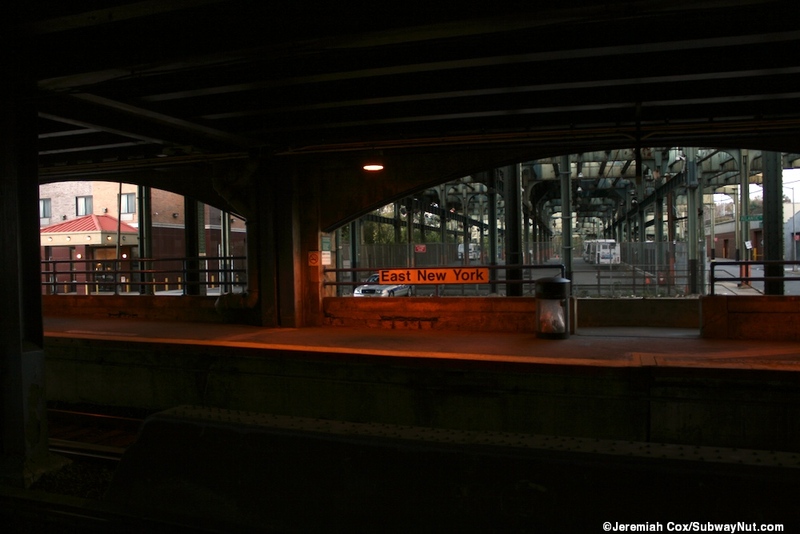 The Broadway Junction Station is three blocks north. 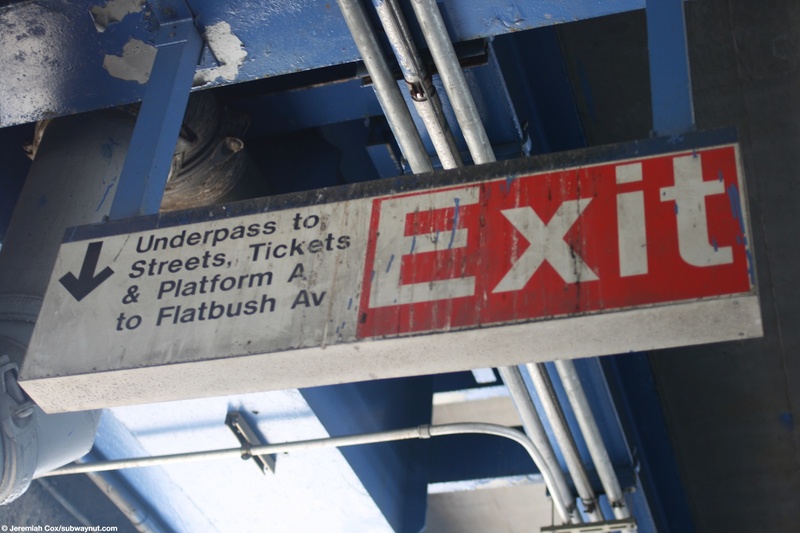 The stop has a very unusual design and feels like your in a strange subway station. 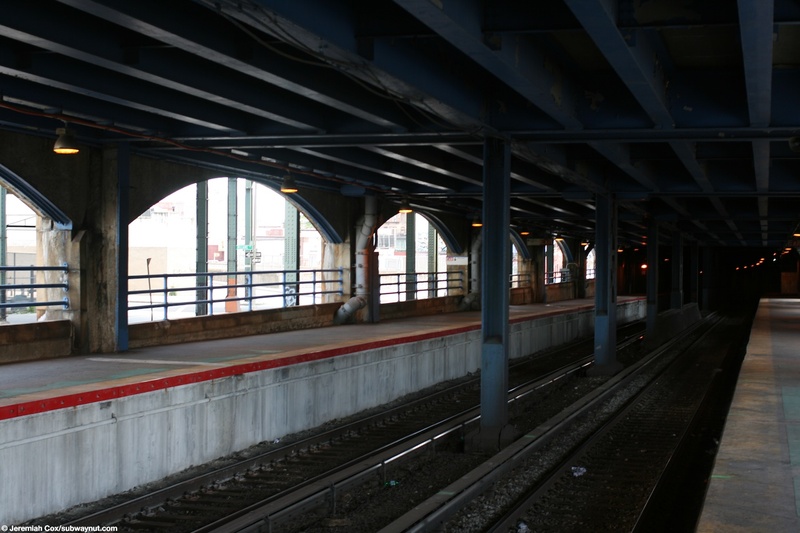 The platform has strange stone arches with blue fences along the sides of the platforms separating them away from the street. 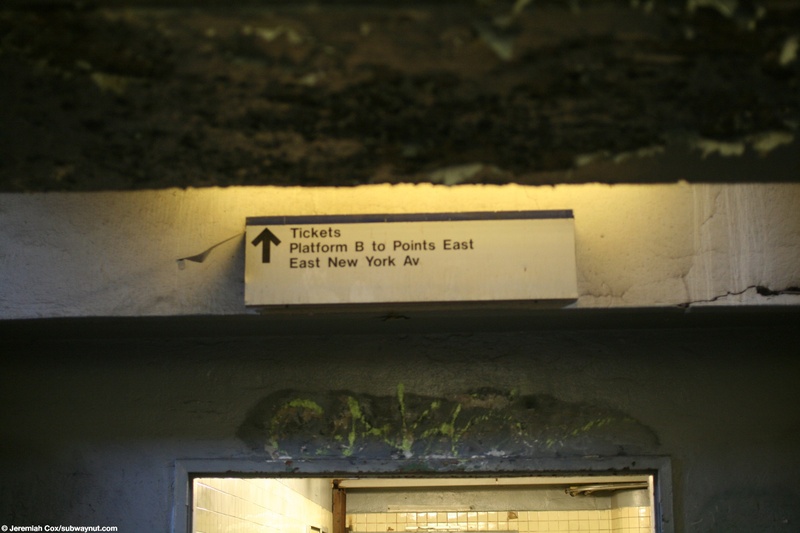 The platforms are connected by a pedestrian underpass that is where the stations vintage from being built with some city money in the 1930s shows through with yellow tiled walls that feel like your in a subway entrance. 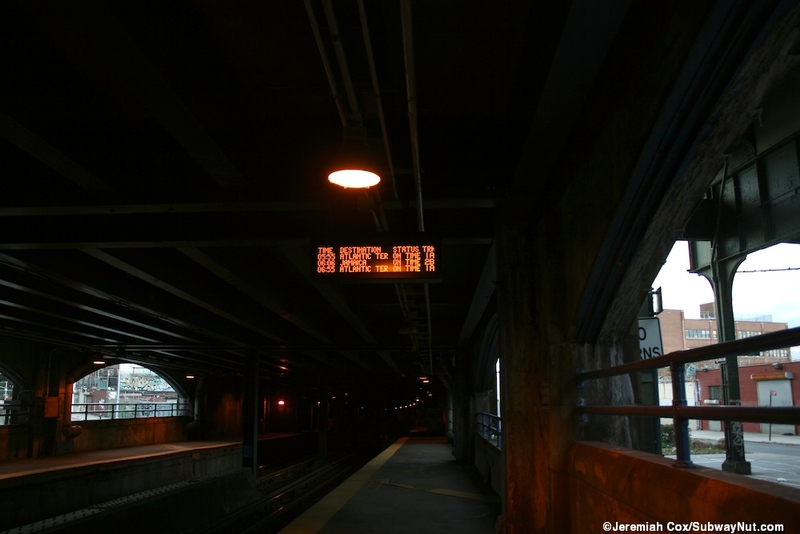 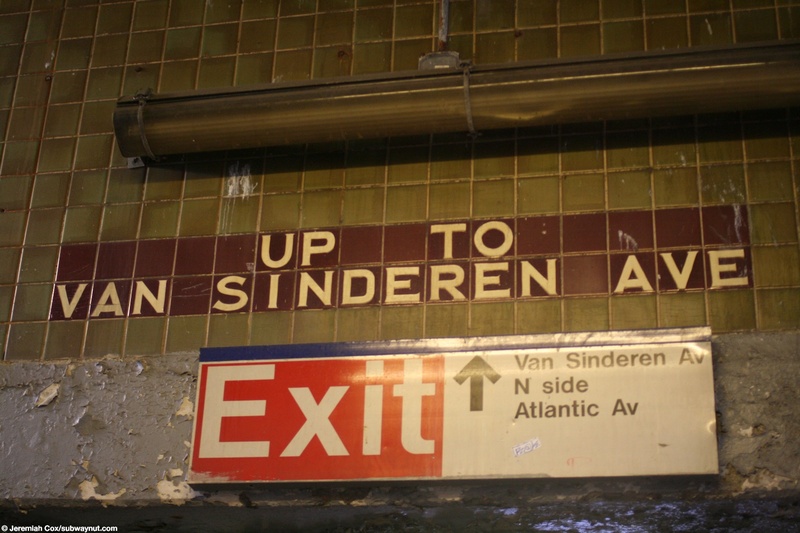 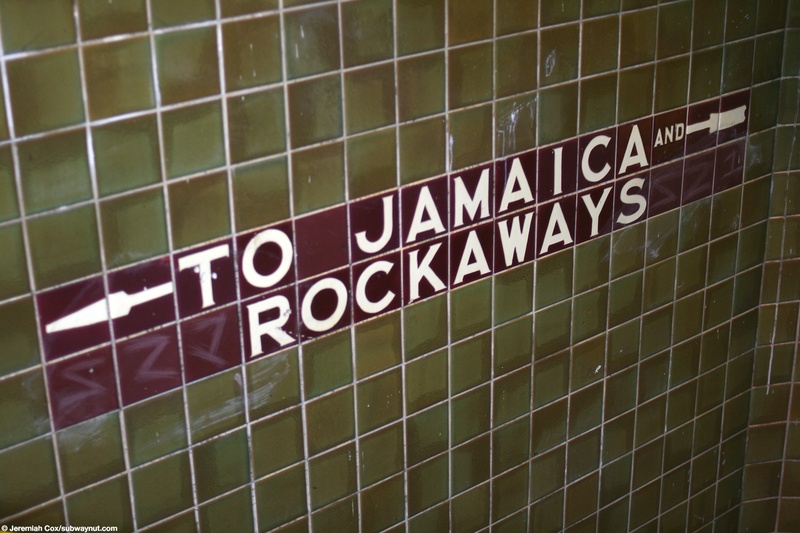 This includes tiled directional signs one even still says 'To Jamaica Rockaways', left over from the LIRRs reign running that line until 1955. 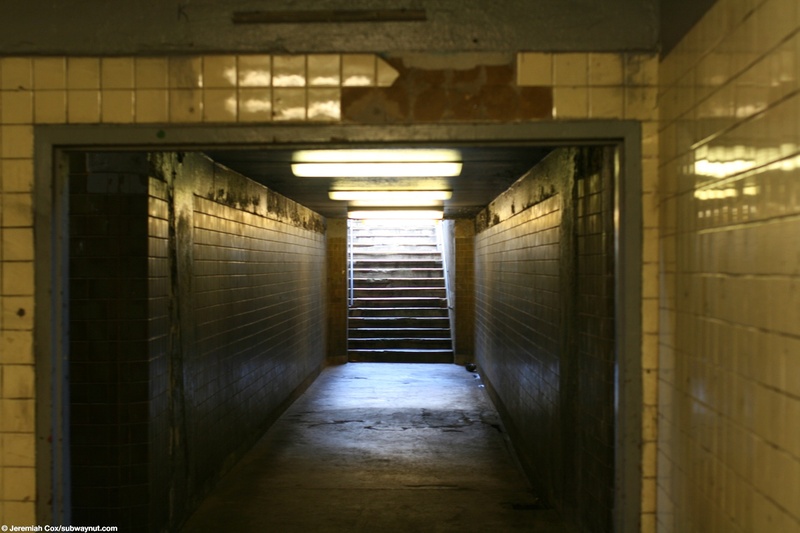 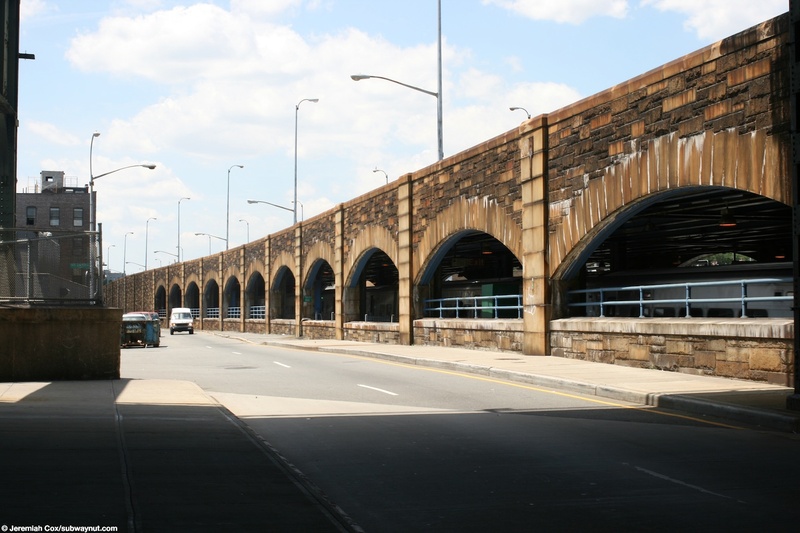 This underpass amazingly had a ticket window until August 2009. 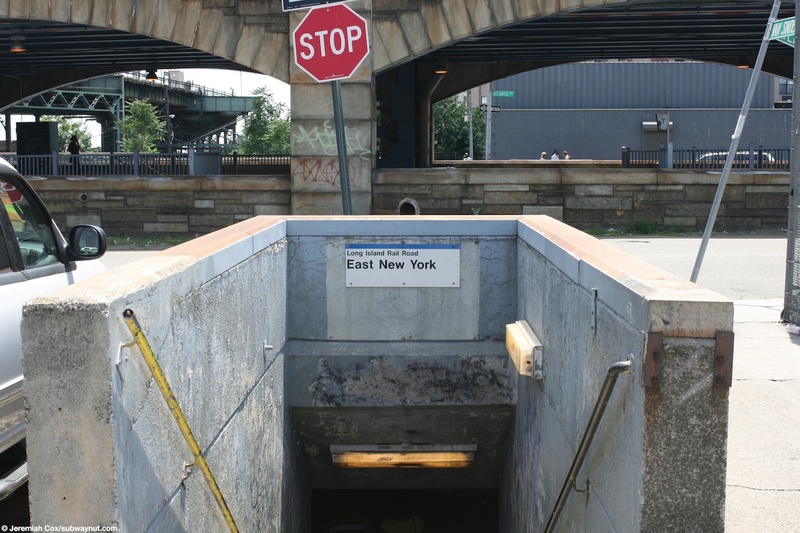 There are some entrances to the platforms directly from across Atlantic Avenue but the underpass also leads to its own simple decrepit concrete street stair at the NE corner of Van Sideren Avenue and Atlantic Avenue. 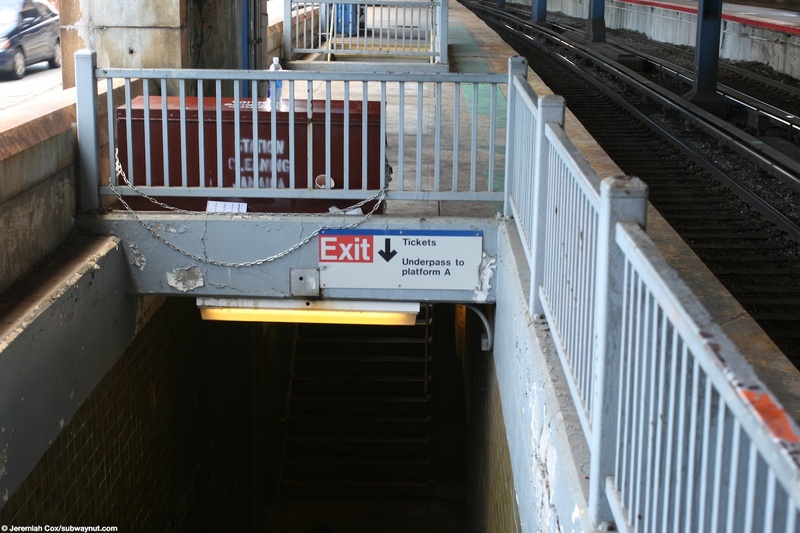 On the Jamaica-bound platform are the stations only two TVMs which have the vandal resistant locked grates around them making them look armed. 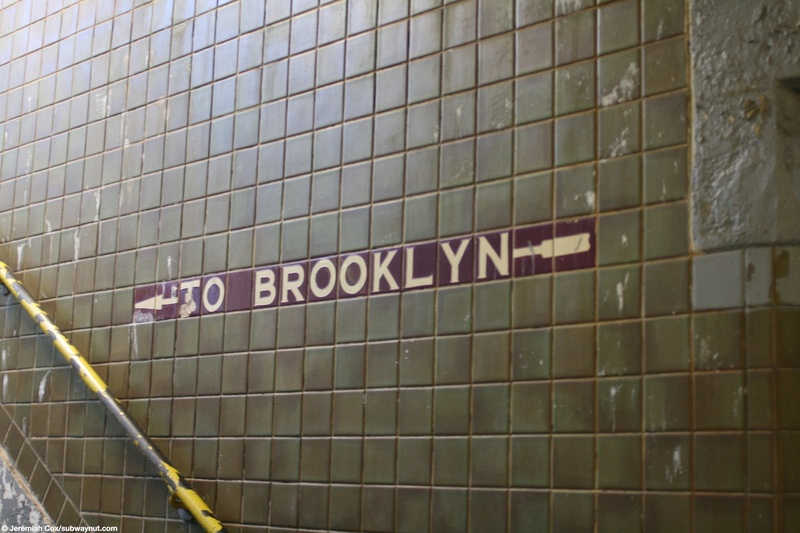 Nostrand Avenue is the only other station I know of with them.